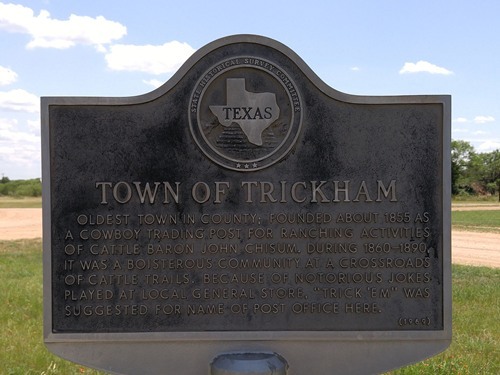 Hanging on to the Post Office, Trickham TX Rural Station. 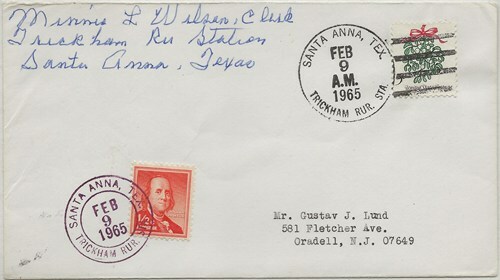 After Trickham's independent full-fledged post office closed down in 1958 the community was served consecutively by what the Post Office Department designated as a Rural Station, then a Rural Branch, and then a Community Post Office - all under the aegis of the larger post office in the nearby town of Santa Anna. 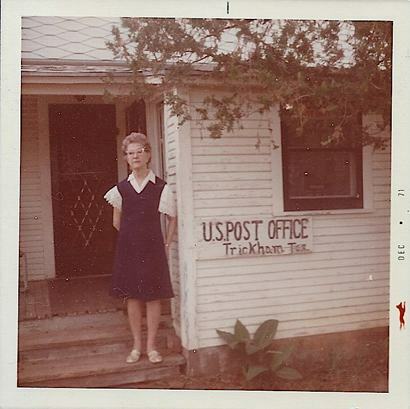 A local resident and a much earlier postmistress, Minnie L. Wilson, did not want to see the community lose its name or be without some sort of postal facility, so she agreed to take over the reduced operations, apparently in her home, for the sum of $75 per month!